When B first introduced me to Sim City, we had just started dating. I thought it was the coolest game ever! Now, it’s six years later and with 3 cats and a place of our own, I still find myself very much engrossed with this PC game. Even though I've discovered many other new games after it, Sim City 4 remains as my all-time favourite! I love being Mayor Marzie; designing and building my settlement in hopes of turning it into a successful city, zoning the different commercial, industrial and residential areas and managing my finances, environment and quality of life to keep my residents happy. Most importantly, it is the thrill and challenge of deriving as much income possible from my city that keeps me glued to the PC for hours on end whenever I'm in one of my Sim City phases! I once accumulated an income of 1 billion from my city and the rush of finally hitting the jackpot was simply amazing! It felt like I’ve finally “conquered” this game. Yesterday, I found out that SimCity Societies, which is the latest Sim City, was finally released last week! I immediately researched this new game online, anticipating the thrill I’d soon savour playing it. I could hardly wait to see the new buildings and features, the landmarks and rewards awaiting me and even started reading its manual online to give myself a head start. Simply put, I could not wait for B to bring home the new game! So imagine my disappointment when I discovered that most reviews this game received were unfavourable! 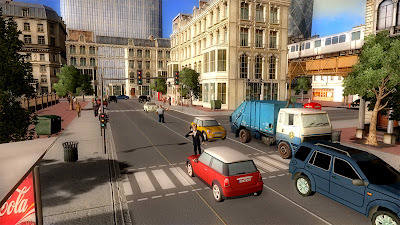 Complaints mostly focused on the fact that it doesn’t really resemble other city simulators, specifically Sim City 4. The maps are small and fairly uninteresting, and there isn't any terraforming to work on improving your maps. There's also no region level so your cities can’t interact. Apparently, this new game is by no means, comparable to any of the previous SimCity versions and shouldn't be associated with Sim City at all! I'm actually pretty bummed out by the reviews; they weren’t what I was expecting at all. Perhaps die-hard Sim City fans like me have too high of an expectation when it comes to this game. Nonetheless, I'm still optimistic about this release and am looking forward to seeing what SimCity Societies is all about. After all, I’ve endured many agonizing years waiting for the release of Sim City 5 so the least I can do is check out the next best thing to it. Hopefully it’ll be able to satisfy my craving until the real Sim City 5 does come out. And if all else fails, I still have my Cake Mania, Diner Dash, Delicious Deluxe and Burger Shop to entertain me. Anyway, here's hoping for the best and if you don't see me for the next few days, that just means I'm busy building my new city! Good night. 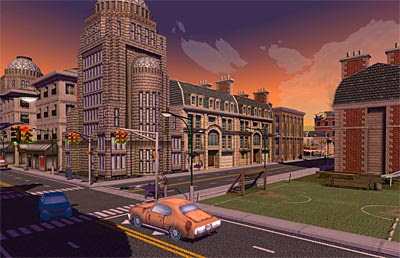 Screenshots of SimCity Societies. They look pretty cool to me! LJ!!!! I LOVE the Tycoon games! Zoo Tycoon is awesome, I love the water theme where u can have ur own aquariums and shows!! Now, I feel like reinstalling it la LOL! I haven't played SimCity in years!! I have to agree with you, it's addicted! I hate it when the city goes out of control, there's crime everywhere, that was when I knew I never made a good mayor and stopped playing! lol! LJ, you should!!! I love seeing the animals walking around in their cages and playing, so cool! And the food stalls and other cool attractions there... fun! I play Sim City too, but am not such a big fan of it. I am crazy about those other strategy games though, where we not only build, but destroy our opponent's cities too. Must be the male hormone raging within me. lolz. Marzie, both wifey and me are fans of SimCity too. It's one of the coolest city game in the entire world even ... LOL! And besides, those ... urrrrmmmm ... cheap games don't cost too much, so it if really lousy, no loss, ya? You should see the amount of dud games I've bought. Thank god for those 'cheap' game sellers ... LOL! Strategy games are fun to play. Not only is it fun actually. It also stimulates your mind and keeps yourself mentally active. 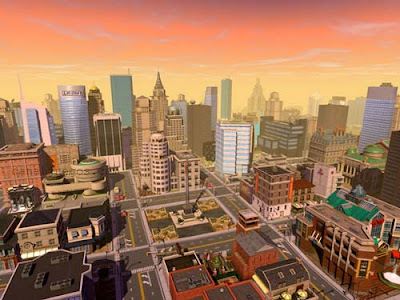 We like the graphics used in this SimCity! Looks real. Nafa, I laughed too at Sandman's remark LOL!!! You should try Fashion Fits, Sally Salon and Nanny Mania from Playfirst. It's really fun... I haven't bought the games yet, played the trial only. best kan if we can actually go inside the game and play from there! I still have to play this game..but the graphics is really the appealing!! How is B's C&C coming along? ?